Australian Medical Sheepskin is one of the best and most remarkable products for older and incapacitated people who spend long periods of time in bed or sitting up in chairs or wheelchairs. The medical sheepskin is compliant with Australian Standards and is approved by the CSIRO, all sheepskins have the Australian Medical Sheepskin symbol permanently bonded to the leather. 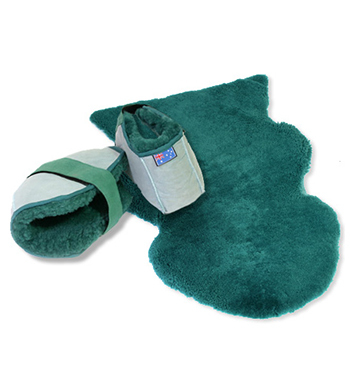 Medical sheepskins withstand multiple washes at temperatures of 80 degrees assuring sterility.